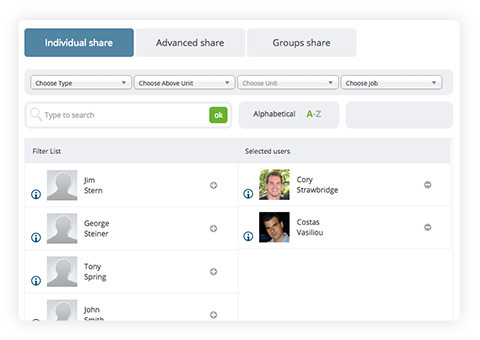 Schoox’s user friendly social content management system allows you to store, curate and share content. 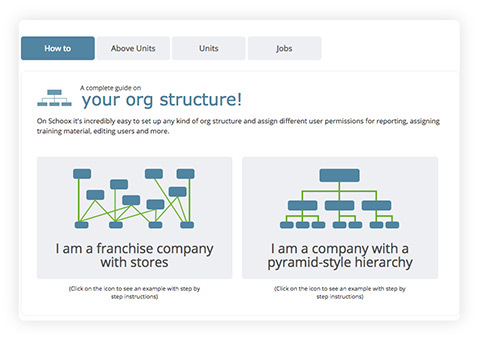 It is a unified repository for files and web resources. Are your training materials in ten different formats? No problem. Schoox lets you upload virtually any file type instantly. 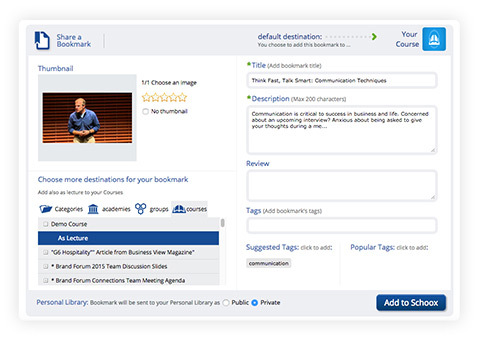 You can also use our cutting-edge tools to add a web resource to your training library in seconds. 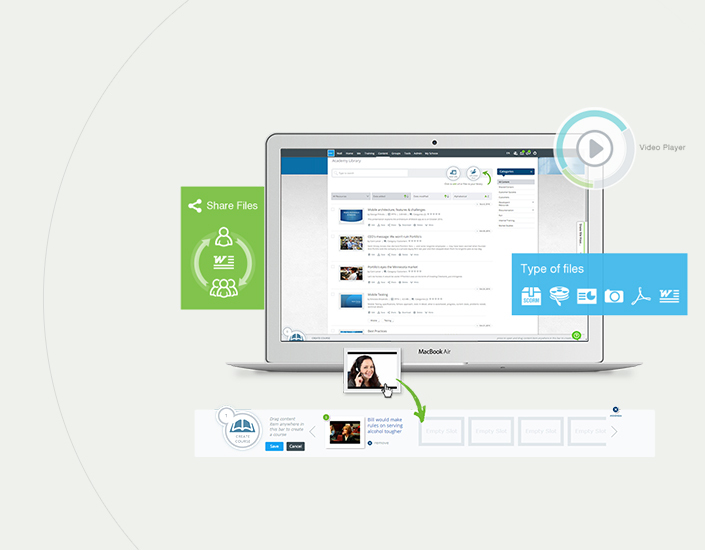 You want to create a course out of pdfs, uploaded videos, SCORM files or even YouTube videos? 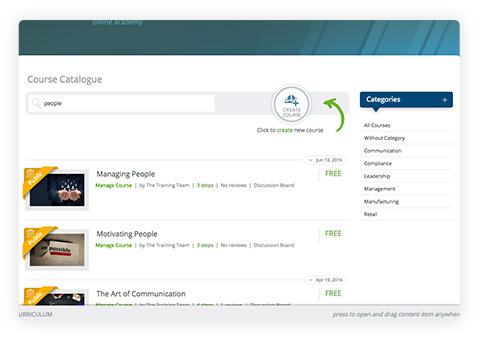 Just drag & drop it and create courses and curricula in seconds. 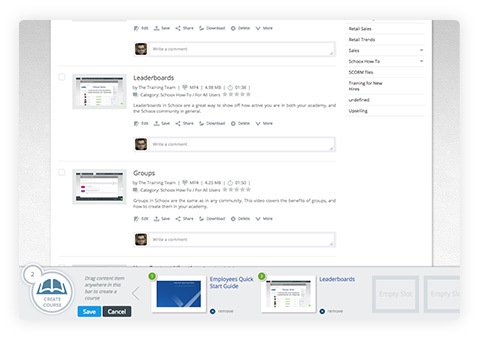 You want to add a new lesson in your course or add supplemental material? You will be amazed how easy it is. 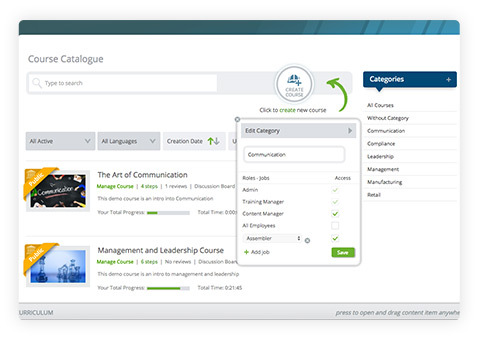 With Schoox gone are the days where you had to go through endless of steps to create a course.